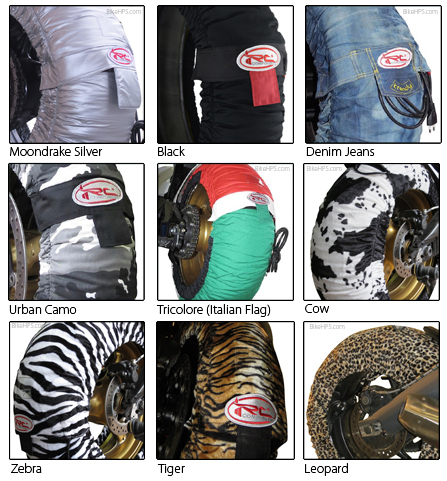 IRC have been supplying top teams in MotoGP and WSBK for many years due their high-quality tyre warmers, manufactured in Italy, featuring the most advanced 12K carbon fibre heating element technology. The majority of tyre warmers use copper strand heating elements that, over time, can become fragile and break - IRC utilise special carbon fibre elements that stay flexible and are practically indestructible meaning that for peace of mind HPS provide a full two-year warranty even on these budget Rise warmers (and a full four years on IRCs professional ranges). !tire, trye, tyer, tyrewarmers, tyrewarmer, blanket, blankets, aprc, aprilia, bmw, cbrr, cbr1000rr, ducati, factory, fireblade, fire blade, gixxer, gsx-r, gsx-r600, gsx-r750, gsx-r1000, gsxr, gsxr600, gsxr750, gsxr1000, honda, h2, h2r, hp4, kawasaki, ninja, panigale, r1, r6, rsv4, rsv4r, s1000rr, suzuki, triumph, yamaha, yzf-r1, yzf-r6, yzfr1, yzfr6, zx6r, zx10r, zx-6r, zx-10r, 600, 750, 899, 1000, 1199, 1299, 00, 01, 02, 03, 04, 05, 06, 07, 08, 09, 10, 11, 12, 13, 14, 15, 16, 17, 18, 19, 20, 2000, 2001, 2002, 2003, 2004, 2005, 2006, 2007, 2008, 2009, 2010, 2011, 2012, 2013, 2014, 2015, 2016, 2017, 2018, 2019, 2020! The majority of tyre warmers use copper strand heating elements that, over time, can become fragile and break - IRC utilise special carbon fibre elements that stay flexible and are practically indestructible meaning that for peace of mind HPS provide a full four-year warranty! Black warmers normally available from stock, other colours available to order. "In short, these are absolutely fantastic warmers, highly recommended. They heat the tyres up to the perfect temperature very quickly which means I got much more out of every session. Plus, keeping warmers on in between each session means that the tyres only go through one heat cycle a day which means they’ll last longer. I genuinely love these, they look fantastic... can’t imagine how I managed for so long without using them!" The majority of tyre warmers use copper strand heating elements that over time, become fragile and break - IRC utilise special carbon fibre elements that stay flexible and are practically indestructible and for peace of mind HPS provide a full four year warranty! Moondrake Silver and Black warmers normally available from stock, other colours available to order. !quote, tire, trye, tyer, tyrewarmers, tyrewarmer, blanket, blankets, aprc, aprilia, bmw, cbrr, cbr1000rr, ducati, factory, fireblade, fire blade, gixxer, gsx-r, gsx-r600, gsx-r750, gsx-r1000, gsxr, gsxr600, gsxr750, gsxr1000, honda, h2, h2r, hp4, kawasaki, ninja, panigale, r1, r6, rsv4, rsv4r, s1000rr, suzuki, triumph, yamaha, yzf-r1, yzf-r6, yzfr1, yzfr6, zx6r, zx10r, zx-6r, zx-10r, 600, 750, 899, 1000, 1199, 1299, 00, 01, 02, 03, 04, 05, 06, 07, 08, 09, 10, 11, 12, 13, 14, 15, 16, 17, 18, 19, 20, 2000, 2001, 2002, 2003, 2004, 2005, 2006, 2007, 2008, 2009, 2010, 2011, 2012, 2013, 2014, 2015, 2016, 2017, 2018, 2019, 2020!